Top tourist attractions include the Santa Chiara Basilica, Popolo Corso (street) and the Temple of Minerva. This beautiful basilica located on the outskirts of town is the final resting place of St. Francis of Assisi. Perched high on a hilltop overlooking Assisi Italy, visitors can enjoy panoramic views from this 14th century castle. 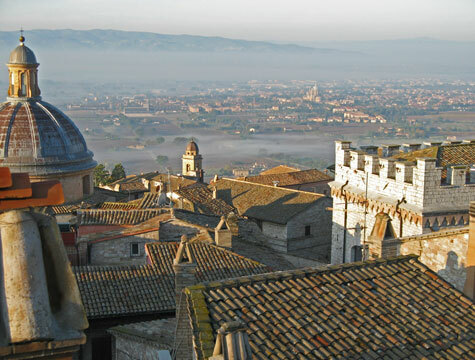 The Umbria region of Italy is certainly one of the most picturesque areas of the country. There are a number of cozy hotels and B&Bs located in this stunning Italian hillside town. The town of Assisi is accessible by train, coach or plane (via the Umbria International Airport).